These dynamic business cards were designed for a law firm. The design featured an eagle with the scales of justice in silver foil on a black background in silk matte laminate finish. 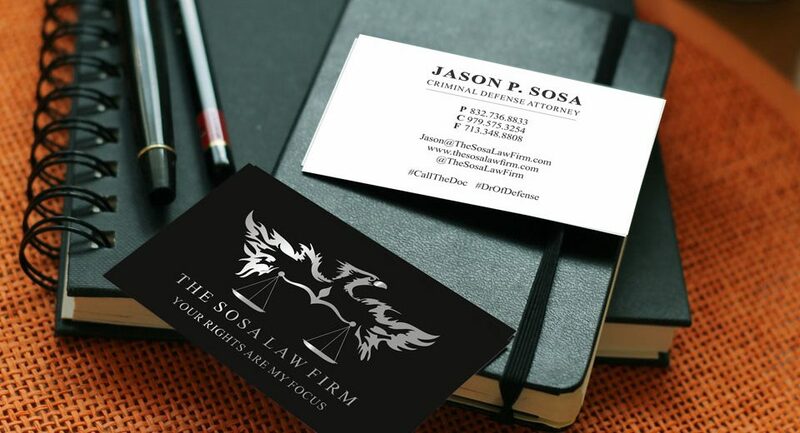 The opposite sides of the business cards feature the name and information of the client. Social media information, including hashtags, gave the client more ways to connect with customers. Cards were printed on card stock. Contact TuiSpace for custom business card design that stands out and connects with customers.